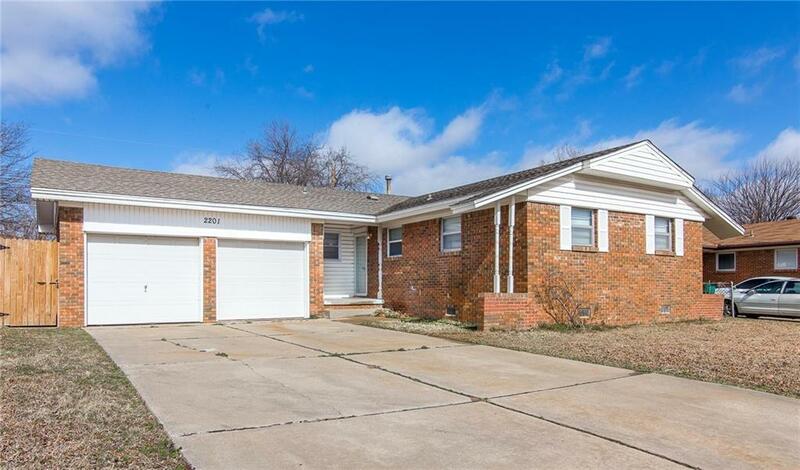 Located in the heart of SW Oklahoma City, this home has plenty to offer and is currently looking for a new owner. Updates include: New Flooring, New Light Fixtures. The Walls, Trim, Kitchen Cabinets and Bathrooms have all been repainted. Kitchen also has updated Countertops & Backsplash. Vanity Cabinetry has been updated in both Bathrooms. Storm Shelter in Garage. Will NOT last long. Information not guaranteed. Buyer must verify.